Dr Steven Lu is the co-director of Consumer Insights Research Group at the University of Sydney Business School. He obtained his PhD in Marketing from the University of Toronto, and MA in Economics from York University. 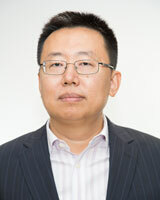 His general research interests are in quantitative modeling and big data analytics. Particularly, his research is focused on investigating major opportunities and challenges in the digital economy such as the impact of digital retailing, search engine advertising, social media, and technology innovation. He is also interested in strategic marketing, especially in how firms effectively use market power, brand value, and pricing strategies to establish competitive advantages. He has published in several internationally acclaimed journals such as Marketing Science, Statistical Science, Annals of Tourism Research, Journal of Business Research, Journal of Interactive Marketing, International Journal of Production Research, and Customer Needs and Solutions. He has served on the editorial board of Marketing Science. Dr Lu was the recipient of the prestigious Australia New Zealand Marketing Academy (ANZMAC) Emerging Researcher of the Year Award. His paper on strategic management of sports events has been selected as Highly Commended Paper in the 2016 Emerald Literati Network Awards for Excellence. He has received one SSHRC (Social Science and Humanities Research Council, Canada) grant for 2016-2019 and two NSFC (National Natural Science Foundation of China) grants for 2017-2020 and 2018-2020. He has taught several subjects including marketing research, new product development and marketing principles. He has been a ‘Teaching Star’ of the Marketing Discipline and consistently received recognitions from the Dean and Associate Dean (L&T) for outstanding teaching performance. He has been nominated for Wayne Lonergan Teaching Award and received the Dean's Citation Award for Teaching in 2016. He has also received a cross-faculty educational innovation grant for an innovative teaching project. He is the co-director of CIRG (Consumer Insights Research Group). As the co-director, he has: initiated and organized CIRG research forum, which has led to a now joint annual research forum co-hosted by USyd, UNSW and UTS; led a joint digital transformation research project with Sydney Institute of Agriculture, which has received a research grant support from SIA. Lu Q, and Miller R (2019) How Social Media Communications Combine with Customer Loyalty Management to Boost Green Retail Sales Journal of Interactive Marketing, In Press. Lu Q, Yang Y, and Huangfu S (2019) Travelers' Prior Knowledge and Search Advertising Tourism Analysis, In Press. Lu Q, and Xiao J (2013) The Cross-Category Effects of Reward Point Promotions: An Empirical Analysis International Conference on Marketing Studies ICMS 2013; Academy of Taiwan Information Systems Research (Web), Hong Kong. Lu Q, and Xiao J (2012) The Impact of Loyalty Programs on Customer Loyalty: An Empirical Analysis Australian & New Zealand Marketing Academy Conference ANZMAC 2012 - Sharing the Cup of Knowledge; Australian and New Zealand Marketing Academy (ANZMAC), Adelaide, Australia. Lu Q, and Shi M (2011) Network and Switching Cost Effects in Frequency Reward Programs Australian and New Zealand Marketing Academy Conference ANZMAC 2011 - Marketing in the Age of Consumerism: Jekyll or Hyde; Australian and New Zealand Marketing Academy (ANZMAC), Perth, Australia. Lu Q, Voola R, and Bhambore S (2007) Salespeople's Learning: A Bayesian Learning Structural Approach Australian and New Zealand Marketing Academy Conference ANZMAC 2007; Australian and New Zealand Marketing Academy (ANZMAC), New Zealand. Goldfarb A, Lu Q, and Moorthy S (2005) Measuring brand equity in an equilibrium framework: a structural approach Quantitative Marketing and Economics 2005 Conference; Kluwer Academic Publishers, USA. Info-Europa, The Illawarra Mercury, Border Mail, Newcastle Herald, Warrnambool Standard and Burnie Advocate published an article by Dr Steven Lu and Professor Donnel Briley about how companies analyse big data to target specific customers’ needs. The Sydney Morning Herald and WA Today published an article by Professor Donnel Briley and Dr Steven Lu about how companies analyse big data to target specific customers’ needs.